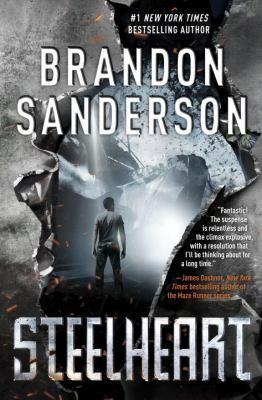 One of my absolute favorites on this list is #8, Steelheart by Brandon Sanderson. Ten years ago, the Calamity came, giving people superhuman powers. At first, people thought they had real-life superheroes, but they soon learned how wrong they were. They called these people Epics, and Epics soon took over the whole world, placing normal people under tyrannous rule. Chicago is ruled by an Epic called Steelheart, one of the most powerful Epics of all-time. Every Epic has a fatal flaw — literally — and David is determined to find Steelheart’s so that he can avenge his father’s death. To do this, he joins the Reckoners, a shadow group of rebels who are fighting to take down the Epics. Read this if you liked Super Human by Michael Owen Carroll or Insignia by S.J. Kincaid.